Gamma-Psi Chapter of Lambda Chi Alpha at Lehigh - Nothing is Over Until We Decide it is! “I really appreciated hearing from Bill Brichta and Dan Grow from my era. Two of my favorite brothers. Bill and I have the distinction I believe of living in the house the longest (4 years). Bill because he got his MBA and me because I enjoyed LXA too much. 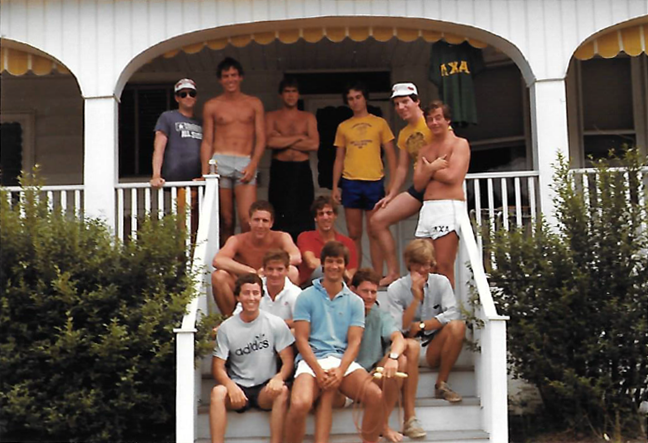 Attached is a photo of the Class of 1982 LXA brothers at a NJ beach house just before our graduation. Sign in and visit the discussion board to read the rest of Greg’s response or to post your own response!